You are trying to port forward (Create a static PAT entry) on a Cisco ASA for port 443 / https. This port is in use by the ASDM. Connect to the ASA via command line. 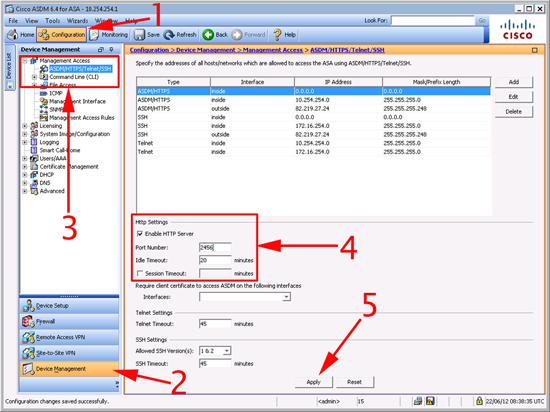 (In the following example I’ll change the ASDM to use TCP port 2456). 1. Connect to the the Cisco ASDM > Configuration > Device Management > Management access > ASDM/HTTPS/Telnet/SSH > http Settings > Port Number > Change accordingly > Apply. 2. Save the new config > File > “Save Running Configuration to flash”. If you are stuck on version 6, i.e. 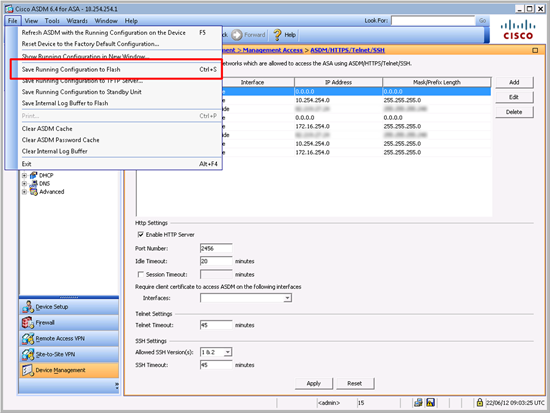 you are running a PIX 506E or PIX 501, then you CANNOT change the PDM port. 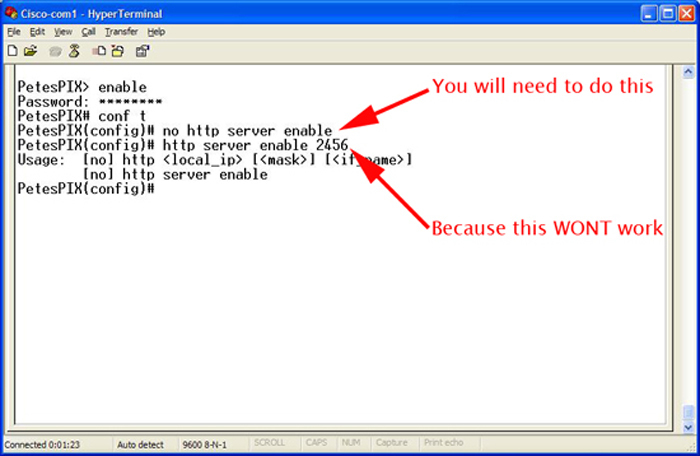 you only option is to disable the PDM if you want to port forward https / ssl / TCP Port 443.